It’s official! 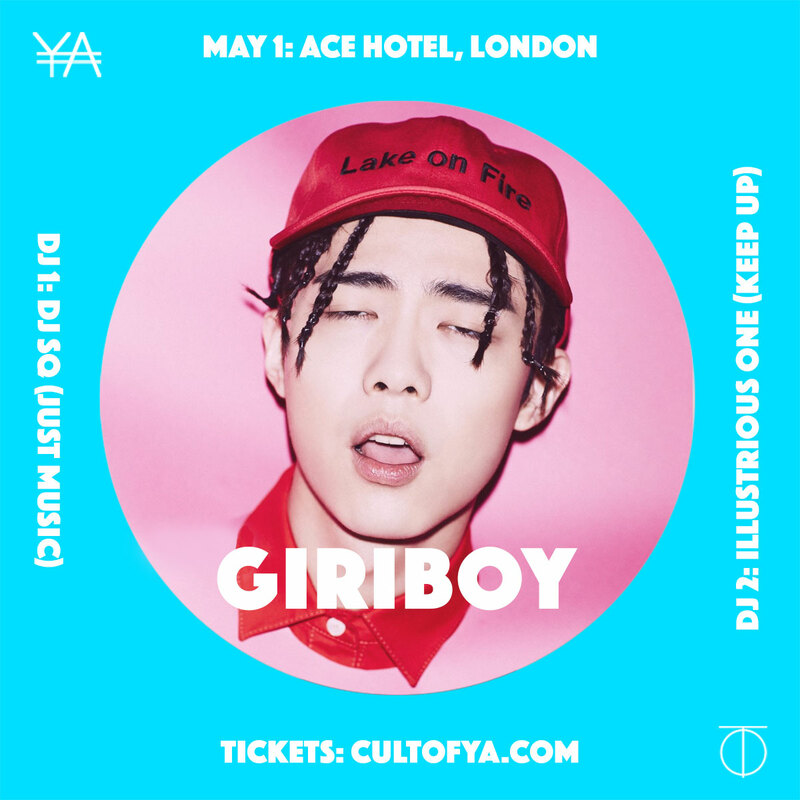 Giriboy is set to play a show at Ace Hotel in London, on May 1st. A one-off show from the bespectacled rapper, Ace Hotel will see Giriboy play a forty minute set, before partying the with fans. Tickets go on sale on Wednesday, but will only be available to those over 18. Cult of Ya is proud to present a special intimate showcase of emerging Korean hip hop label Just Music, founded by none other than Swings. Making a special performance on the night is Giriboy, a highly notable contestant on the Korean hip hop show “Show Me The Money“, who has rocketed to fame for his playful musical style and stage antics. Having dropped his second album “성인식 (Adult Ceremony)” and new tracks like “호구 (Sucker)” garnering over millions of views on Youtube alone, Giriboy is a regular headline artist at Korea’s biggest music festivals. This is scheduled to be his debut appearance outside of Korea. Supporting him on the night is his labelmate DJ SQ from Just Music, rinsing the latest Korean hip hop tracks, and Cult of Ya regular DJ Illustrious One. Meet & Greet with Giriboy (Photo opp) + Just Music Beanie + Early Entry at 8:15PM. – What is included in the VIP Ticket? You can enter the venue at 8:15PM to meet Giriboy. We will take the photo for you using your mobile phone or camera, and you’ll also get an official Just Music beanie. – How long and what will Giriboy perform? Giriboy will perform a minimum of 40 minutes of his latest hits. We will provide the tracklist after the show. – What do you mean “party with Giriboy”? Giriboy will be in the venue, and occasionally on stage supporting his labelmate DJ SQ. Besides that, all antics are purely up to Giriboy. The dude is wild, so we have no plans to control him. Maybe he will pass out Nando’s chicken wings. Maybe he won’t. Come find out. – Why start so late? I am a pagan and I sleep early. Giriboy is performing in Korea the day before, so we want to ensure he will have plenty of rest before turning up London. His performance will end by 11:45PM, for those of you who need to catch the last train home. – I am under 18, can I come with a legal guardian? Unfortunately due to venue restrictions, you must be at least 18. Please bring a photo ID with your date of birth, as you may be required to present it upon entry. And don’t forget to click the ‘interested’ button on the facebook event page; that way you’re sure not to miss any new info on Giriboy in London!